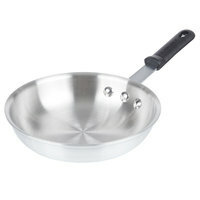 Cook delicious meals with ease when you use this Vollrath E4008 Wear-Ever 8" natural finish fry pan! Ideal for browning meats such as ground beef or chicken, this fry pan's curved side walls make sliding food out of the pan easier than ever before while also preventing excess amounts of steam when in use. 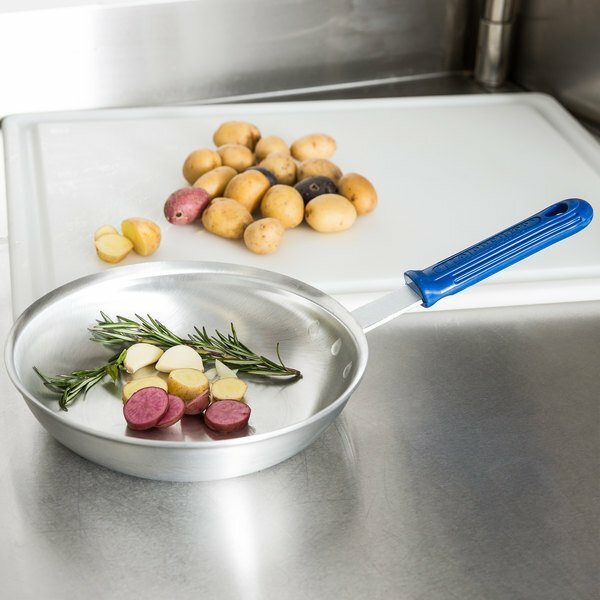 Made from strong, aluminum material, this natural finish fry pan with TriVent rivetless cool handle is ideal for any commercial kitchen. 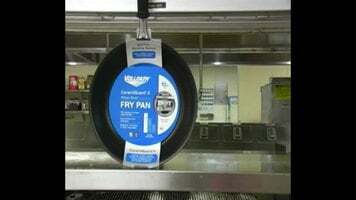 "great vollrath fry pan as well. the silicone handle can help you to grab the pot without a rag. also the thickness of the pot is perfect for cooking as well." 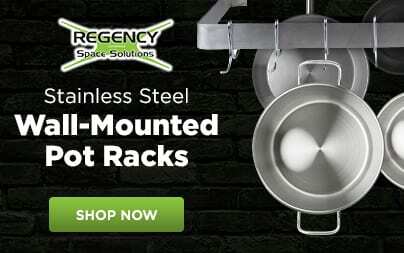 Made from a sturdy 3004 aluminum alloy, this rivetless fry pan features Vollrath's Cold Draw process that creates perfectly uniform thickness on the pan's sides and bottom for even heat-transfer and cooking. The exclusive Cool Handle is oven safe up to 450 degrees Fahrenheit and has excellent heat insulation for prime cooking capabilities. 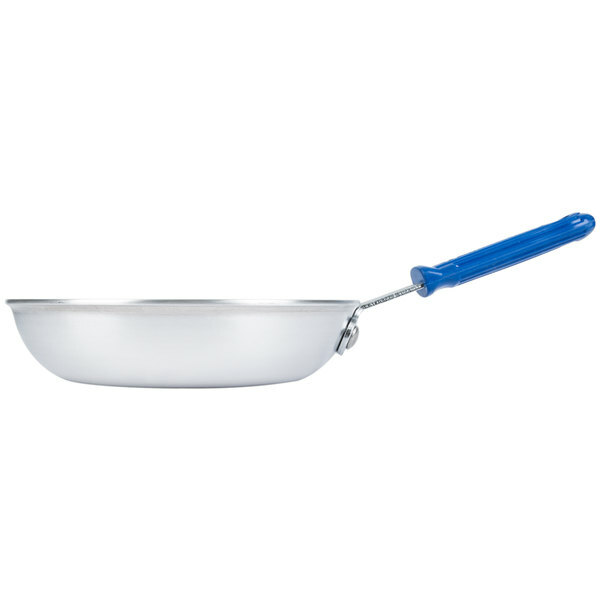 With a polished finish and rivetless design, this fry pan eliminates potential food and bacteria collection areas in the cooking zone. 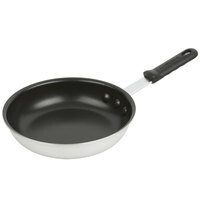 Boasting a smooth surface, this fry pan provides a uniform cooking surface for all of your meals. This makes it much easier to cook foods to specific temperatures in order to satisfy your customers preferences. 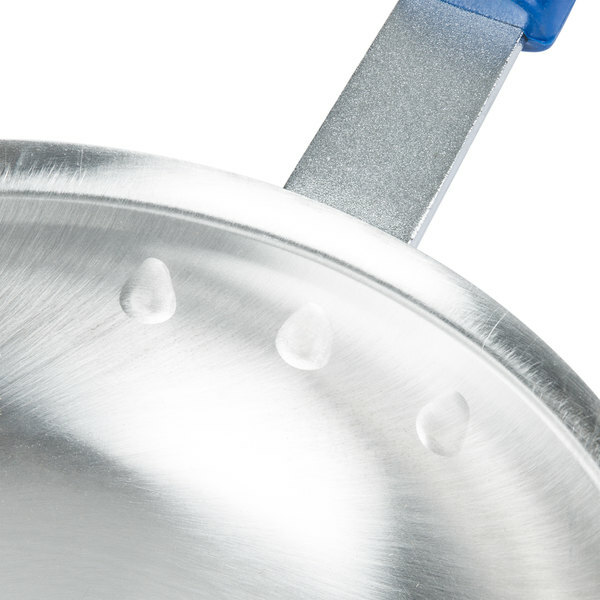 In support of the U.S. Environmental Protection Agency’s call for total elimination of PFOA by the year 2015, Vollrath is proud to announce new, nonstick coatings made without the use PFOAs. These coatings continue to have the excellent release you have come to count on. 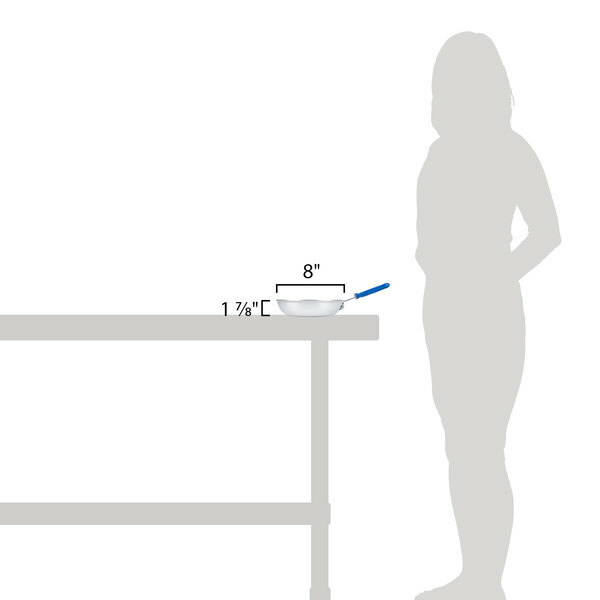 But now, through the development of new formulations and state-of-the-art application and curing equipment, Vollrath’s coatings have a 30% longer life. With this broad coating offering, Vollrath can provide environmentally coatings meeting the budgetary needs of all of our customers. So how do these coatings differ? 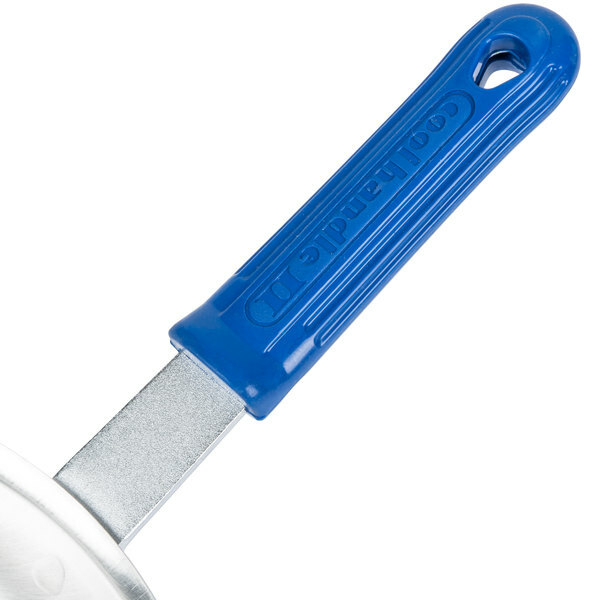 CeramiGuard II, the best coating in the food service industry, uses the largest, hardest, and greatest number of reinforcements along with the strongest top layer. 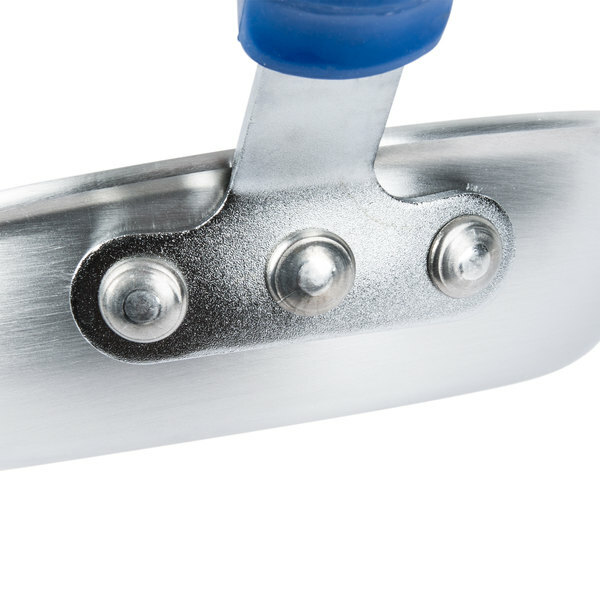 SteelCoat x3 uses hard, enlarged reinforcements and a strong top layer. PowerCoat2 uses smaller reinforcing agents. The top layer is smooth and is sometimes preferred for egg preparation. 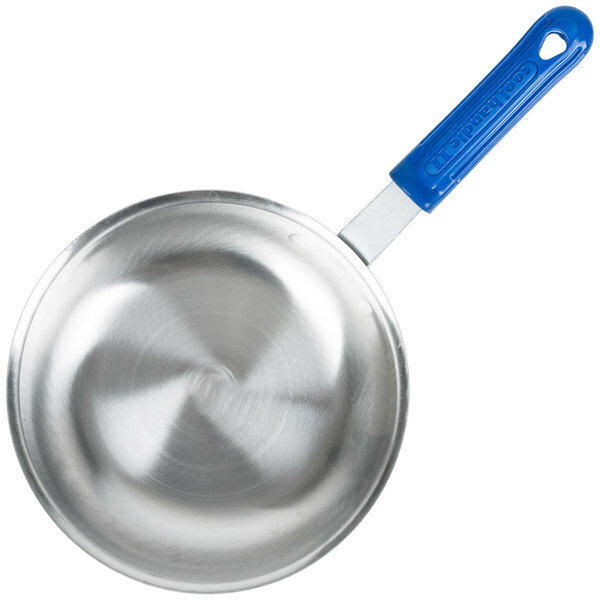 Each of these lines has a different level of performance, and the best pan for you will depend on your particular needs. Watch for the new coatings in our new color-coded packaging in a showroom near you. 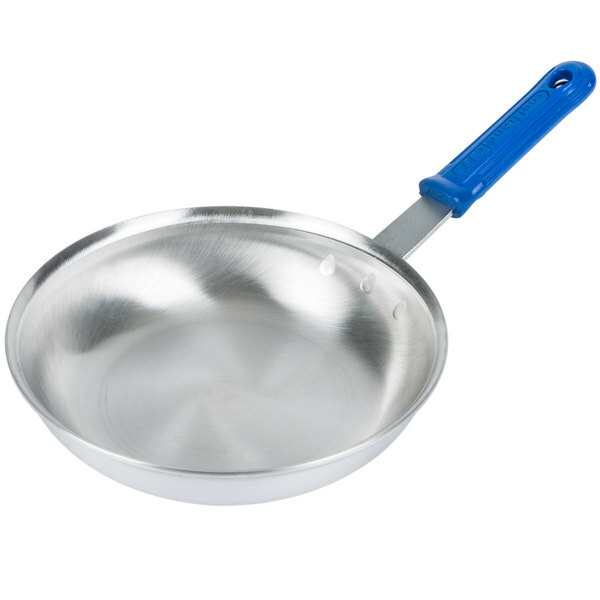 So when you are considering your fry pan purchase, you can count on excellent release, excellent wear performance, and all with a clear conscience of using a coating that will provide a world that is safe for our children for many years and decades to come. wonderful Vollrath 8" fry pan. 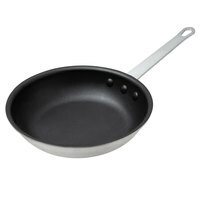 Made of great quality and made to last, with proper care this pan will be around our restaurant for a long time. 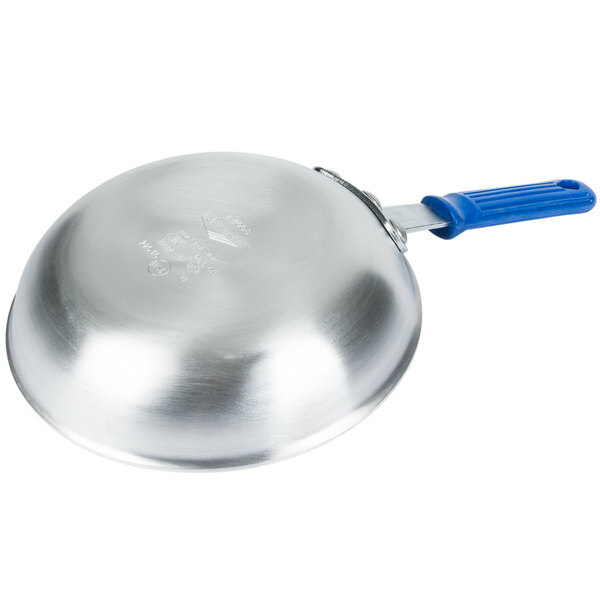 Vollrath always make a nice product and is very reasonably priced through webstaurantstore! I will be purchasing these again, they arrived just as described, thank you! 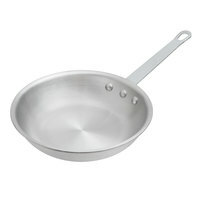 great vollrath fry pan as well. the silicone handle can help you to grab the pot without a rag. also the thickness of the pot is perfect for cooking as well.